N2 annealing after PECVD deposition can be important if wafers will be exposed to high temperatures later on in the process. 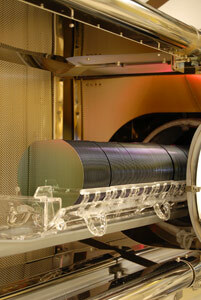 Adding an anneal will densify PECVD films making them more stable during thermal cycling. We recommend adding a forming gas anneal after dry chlorinated oxidation to passivate dangling bonds. Dangling bonds at the silicon interface can have an effect on the insulating properties of your oxide. Adding a forming gas anneal will insure that you are the receiving the maximum benefit of your dry chlorinated oxide.